Kidzworld took in the Peter Rabbit film. Is it as cute as the books? 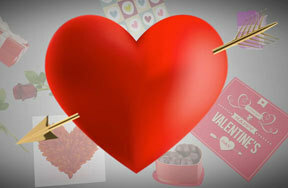 Will it be fun for modern teens and tweens? Check our movie review. 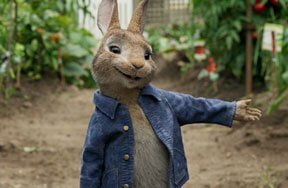 In Peter Rabbit, once old man McGregor dies, Peter (voice of James Corden) and his family; sisters Flopsy (Margot Robbie), Mopsy (Elizabeth Debicki) and Cottontail (Daisy Ridley) as well as cousin Benjamin (Matt Lucas), seem to have the run of McGregor’s garden and his home. The bunnies and hogs, etc. and hedgehog Mrs. Tiggy-Winkle (Sia), are all in hog heaven as they stuff themselves and party hearty. When the house and land are left to young Thomas McGregor (Domhnall Gleeson), it’s right back to being banned from their food source. Even their very friendly neighbor Bea (Rose Byrne) seems to be falling for their tormentor. Can everyone ever just get along? 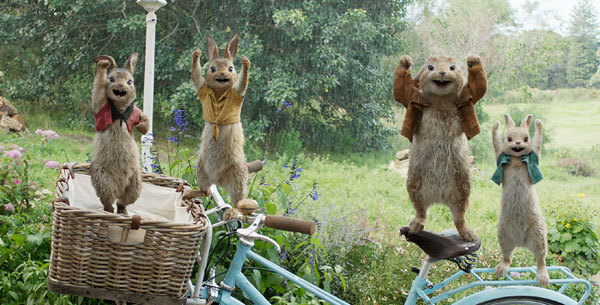 Rambunctious Peter Rabbit leads his family and friends into Mr. McGregor’s garden every chance he gets. Full-figured cousin Benjamin comments that he loves garden salad but can’t understand why it makes him fat. Peter recommends he get the dressing on the side. After a particularly vigorous battle with McGregor over his veggies, next door artist Bea rescues the captured Peter and gives his whole family water and snacks. We learn Peter’s history. The whole family fed from the garden until the sad day McGregor killed and ate his dad (you don’t see this). Trying to get back his dad’s blue jacket that Peter left in the garden, he is again grabbed by McGregor who has a heart attack and dies! Freedom! With McGregor gone, the rabbits and many other animal pals eat most of the garden and party in the empty house. Peter brags that he was the one who killed beastly McGregor so he’s a hero. Meanwhile, in London at Harrods department store, young Thomas McGregor, who is very controlling of fellow employees, learns that he was passed up for promotion in favor of the owner’s relative. He freaks and goes berserk tearing up the displays and is fired. He inherits the McGregor property and is reluctantly off to the country to fix and sell it so he can buy his own toy store. 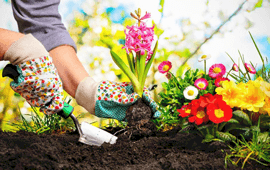 Thomas moves in and finds the house a total mess and the garden mostly eaten. He kicks out the rabbits and friends and tells them to stay out. Bea spots him and brings him a welcome gift; a big pair of bird-watching binoculars. He pretends to like them and is attracted to her. She tries to talk him into leaving the garden gates open but he won’t. When Peter and Benjamin sneak in, he goes after them with a big garden hoe. Poor Benjamin, ever Peter’s follower, is grabbed and put in a burlap sack and Thomas drives away with him. The other bunnies hitch a ride. Thomas almost throws poor Benjamin into the river but pauses then stops when he finds that the rabbits have let Ben out and put Thomas’s new binoculars in. Peter apologizes to his family for being too reckless. Thomas heads to town with the bunnies hiding in his truck. He buys an electric fence and makes sure it will have plenty of power to zap the rabbits. He hides his purchase from Bea and gives her a ride back to the countryside. It’s obvious to Peter that the two are probably going to fall in love. If she only knew what he was really like! Thomas starts courting Bea. They go everywhere and Peter and pals spy on them, hating every minute. He thinks of Bea as a mom. In the rain, she lets Thomas into her house but shuts the rabbits out for the first time. Peter and Thomas end up in a fight and Bea calls Peter a “Naughty rabbit” and kicks him out again. Devastated and angry, Peter and family start fighting back. They put leg traps in Thomas’s bed, re-wire the fence to shock him after they see Mrs. Tiggy-Winkle get shocked (she’s okay). Thomas is furious and throws explosives down their burrow under a tree! They don’t ignite and Thomas ends up throwing them one by one at the rabbits in the garden. Peter accidentally steps on the detonator and the tree housing the burrow blows up crashing down on Bea’s home, wrecking her paintings. Bea decides Thomas hates animals, was trying to kill them and is evil. She is through with him. He decides to sell his home after all. Will Bea and Thomas ever reconcile? Will he learn to care for the animals? Will the rabbits and humans ever live together in peace? 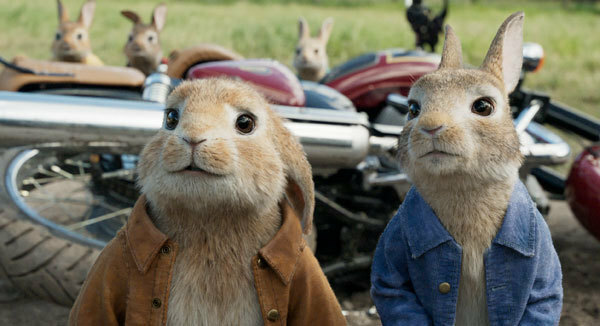 Peter Rabbit is packed with fast-paced comedy action. There are some sweet songs you might recognize as well. 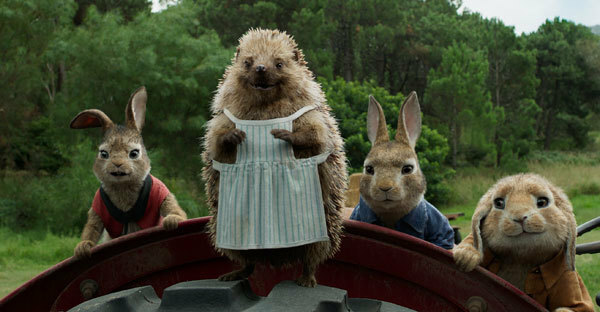 James Corden is especially good as the voice of Peter, capturing the charm and the feisty adventurer that make the little rabbit in the blue coat so loved although the more gentle aspect of the original books is tossed aside in favor of rough human vs. animal chaos. A big chunk of the film seems like the Home Alone movie with clever traps being set right and left. The CGI-animated animals are super cute and it’s kind of upsetting to see the McGregors lay out horrible leg traps and go after them with a sharp hoe although none of these weapons ever work against the critters. There are many worthy lessons in the film.. like love can be shared and one can find peace and fulfillment away from the big city rat race. Peter learns not to be so reckless with his own safety and that of others he loves. Family love is at the center of the film and the fact that your family might include those not of your species. Nobody is perfect and we all have shades of gray in our personalities. 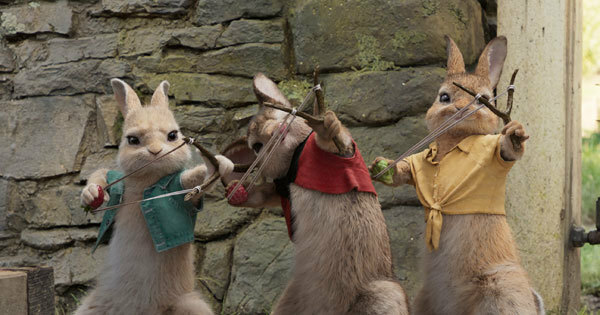 Those who were huge fans of the original Peter Rabbit stories by Beatrix Potter might think the movie modernizes the characters a bit too much and is too crude but we do see some charming animated drawings that harken back to those original books. Overall, the movie, although flawed, is fun so we can go at least three stars. 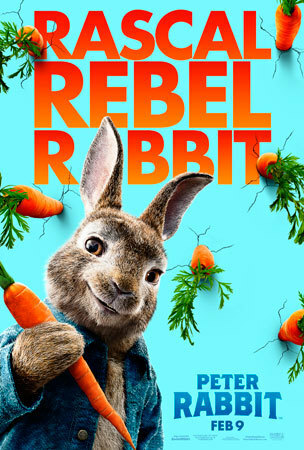 See Peter Rabbit in theaters now! Were you a fan of the original stories and drawings? 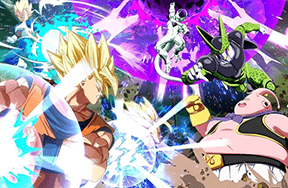 Are you looking forward to seeing the movie after seeing the trailers or….not? Comment below!